Almost every country in the world uses a postal code system. The postal code system was introduced to simplify the sorting of postal items. Some countries have a somewhat coarser system than other countries. 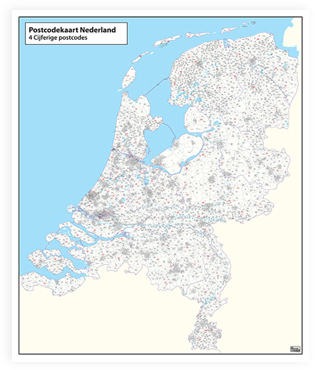 In the Netherlands, the system used is very strict, as opposed to the system they use in France where the postal code areas are divided into larger sections. 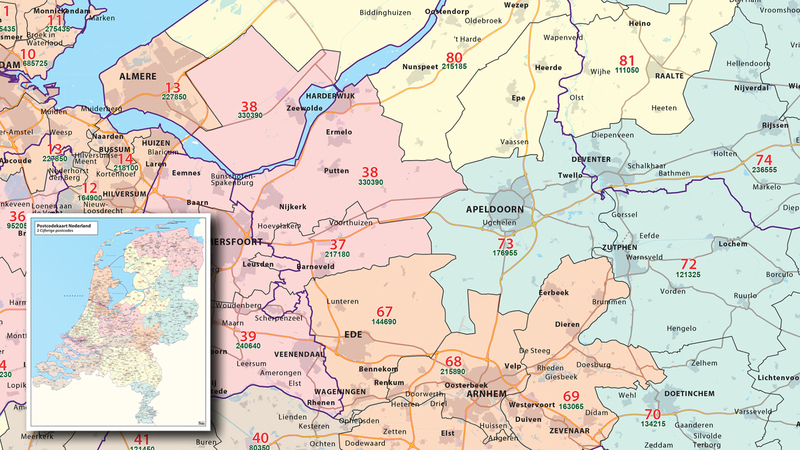 "Postal code maps are often used within companies to create certain districts or regions"
We sell maps with 2 digit areas from all European countries. If necessary, we can create maps with more postcodes and/or letters. 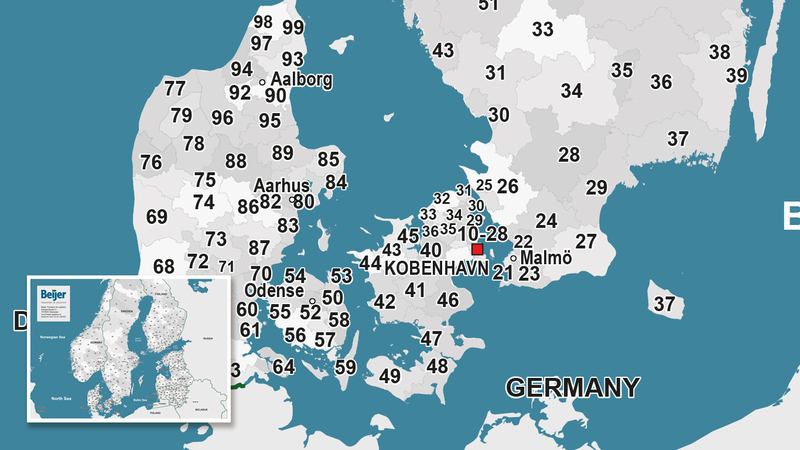 In some countries, such as Germany and France, the areas of the 5-digit postal codes are so small that maps that display these small areas are usually made at the department or federal level. 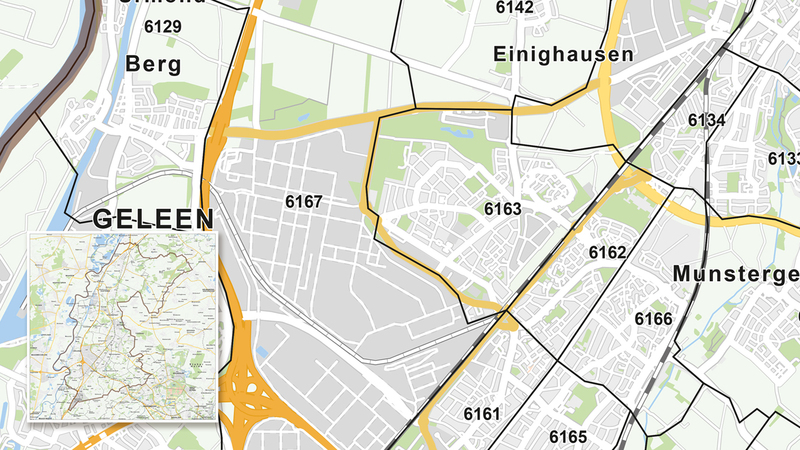 City maps can also be covered with a postcode grid, which enables a company to further zoom in on their clients. Enabling a better reach and understanding of your client base. Postal code maps are very suitable for a company to create regions or districts with. If several clustered postal codes are classified and coloured, we are referring to district maps. More information about formats and district maps can be found here. Would you like to map out a region or area with postal codes? The three elements that make a map are: area, format and detail. Are all connected to each other and together they form a working map image. Are you not entirely sure which possibilities are available? Feel free to contact us to discuss all possibilities, either by telephone, email or chat. Each map sector differs from one another. Take a look at all different map sectors. Maps come in many shapes and forms. Take a look which fits your needs best.